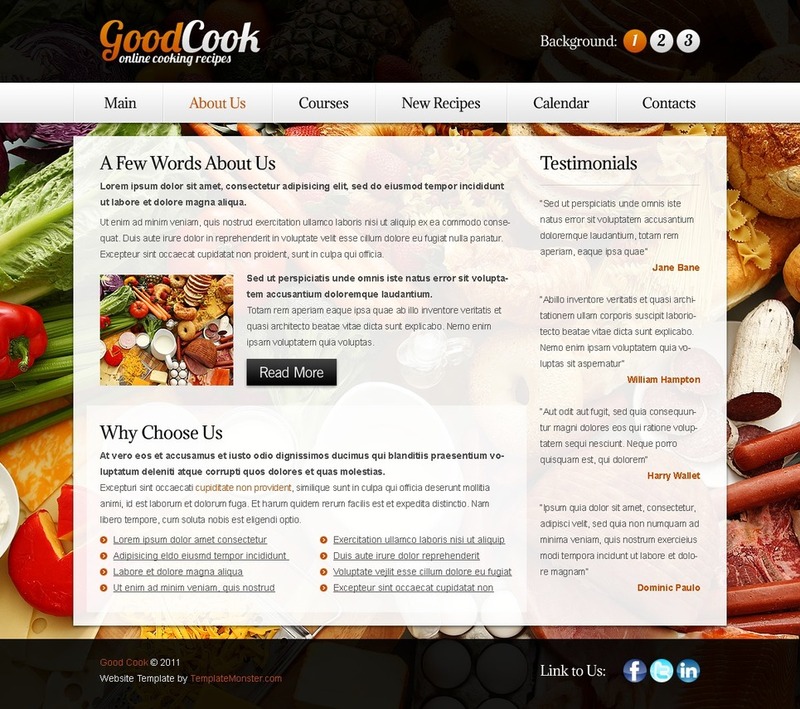 Here comes a fresh free website template and it's coming for you! 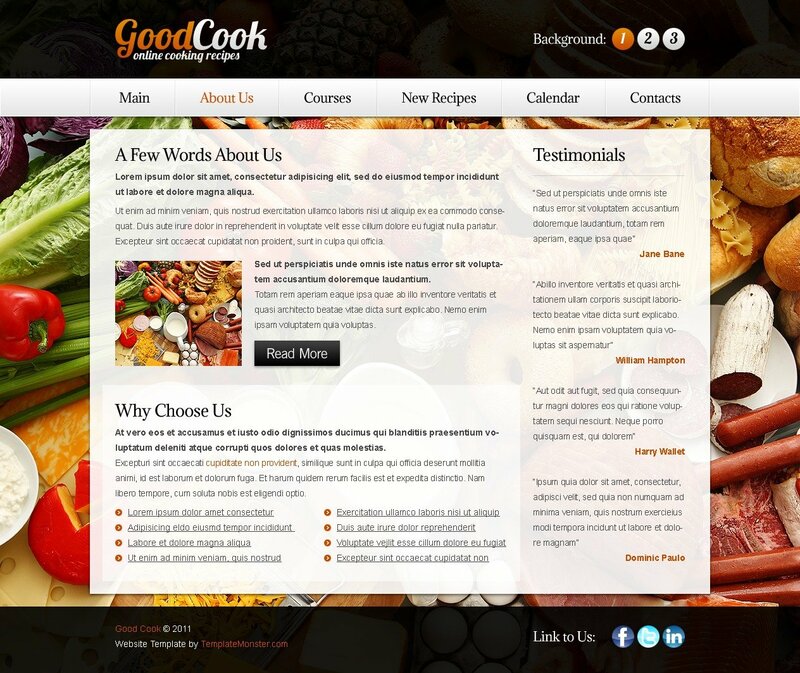 This week it's the premium free template for a recipes website, with a nice appetizing background image. There's also a slider in the header area which will also make a website based on this template more convenient in use. You are totally welcome to use this template as a basis for your own commercial website or for your customization project, but please do not resell this template as a template. Thanks.